No matter what skin related issues may be knocking your self-confidence, the specialist cosmetic dermatology team at CrownWood MediSpa are here to help you find the perfect treatment to suit you. We offer a wide range of laser treatments for your face, neck, chest, and hands. So, whether it’s discoloration, scarring, acne, or loose skin that you’re wanting to put right, your consultant will point you in the right direction. Some of the treatments we have on offer may overlap in what it is they are able to treat. At your laser skin rejuvenation consultation at CrownWood MediSpa in Bracknell here in Berkshire, our highly experienced team will ask you a series of questions to help determine which of our laser facial treatments will help you achieve the most desirable results possible. They’ll work with you to find out exactly what kind of end result you’re hoping for, the challenges you’re facing, and then they’ll match you up with the perfect laser skin rejuvenation facial for you. Looking to improve your skin tone or combat the signs of ageing and loose skin? So, how does it work? ClearLift uses laser technology to create a controlled “wound” in the deeper layers of your skin, leaving the surface untouched. As the wound heals, it stimulates the growth of new collagen – giving your skin its youthful elasticity back again. It can be used anywhere on the face and neck and is an extremely quick and painless procedure. Click here to find out more about the ClearLift laser facial treatment at CrownWood MediSpa in Bracknell, Berkshire. Want to decrease pigmentation or redness from vascular issues? If you suffer from broken veins, rosacea, hyper pigmentation, age spots or spider nevus, you may dream of achieving a perfect, flawless complexion but not be sure how to achieve it. Harmony Vascular and Pigmentation Laser Skin Rejuvenation can help treat the appearance of these issues, providing laser treatments for your face, neck, chest and hands. If you’d like to know more about the Harmony's vascular and pigmentation laser treatment, please click here. Wish for better skin elasticity or texture? Patients come to us here in our Bracknell clinic all the time asking how they can remove the signs of aging, rough skin, wrinkles, and facial scaring. That is why we refer them to one of our most popular laser treatments for the face – the I-Pixel Laser Skin Resurfacing. As the name suggests, this laser facial ‘resurfaces’ your skin by removing the flawed outer layer. It does so while using specialist technology to only cause the very minimal of damage to the treated skin; meaning less redness and a shorter recovery time. 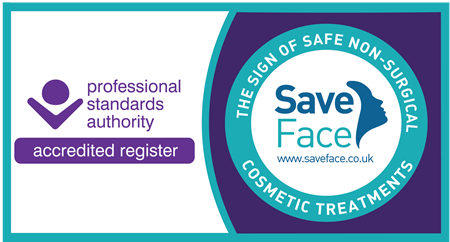 To find out more about this state-of-the art i-Pixel laser skin resurfacing facial available at our Berkshire practice. Want to clear your acne or remove old scarring? Millions of teenagers and adults suffer with acne. There are many excellent topical medications out there but it can prove a real challenge to find something that’s able to completely remove it for good. This can have a significant impact on a patient’s self confidence and mental health. ClearSkin Acne Laser Treatment is a laser skin rejuvenation for your face which actively destroys the bacteria which cause acne. The laser is gentle on your face, but its light is able to penetrate the skin; damaging sebaceous glands and killing the P.acnes bacteria completely. This laser facial is also effective in greatly reducing the appearance of acne scars, as it stimulates the production of collagen. That means you’ll be left with clear, smooth skin free from lesions, spots, excess oil and open pores. If you’re in the Berkshire area and are interested in our ClearSkin Acne Laser Treatment here at our Bracknell clinic, please click here to find out more. To book your consultation and find out which laser treatment is right for you, call CrownWood MediSpa today on 01344 482 882, or pop in and see us at out Berkshire surgery here in Bracknell. Curious to know more? If you have any further questions about Laser Tattoo Removal, don’t hesitate to call us on 01344 482 882.